Submitted by lynn on Saturday, January 19, 2019 - 12:17pm. San Diego Restaurant Week (SDRW) starts this Sunday, January 20, 2019 and continues until Sunday January 27, 2019. This bi-annual event features over 180 restaurants offering a prix fixe meal which range between $10 to $50. 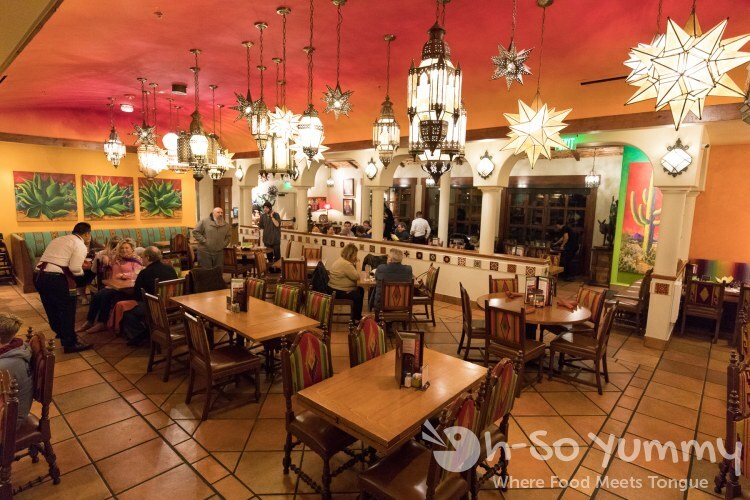 We've partnered with Casa Sol y Mar for a sneak peek of their dinner menu. The full list of restaurants is available here. 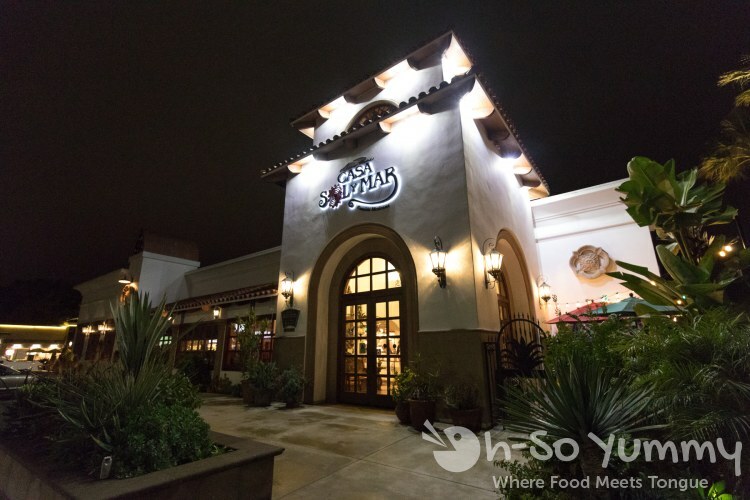 We've visited other businesses in the area, including Grater Grilled Cheese and Searsucker, but have not been to Casa Sol y Mar before this visit. Here's the entrance with some seating for the waiting area. 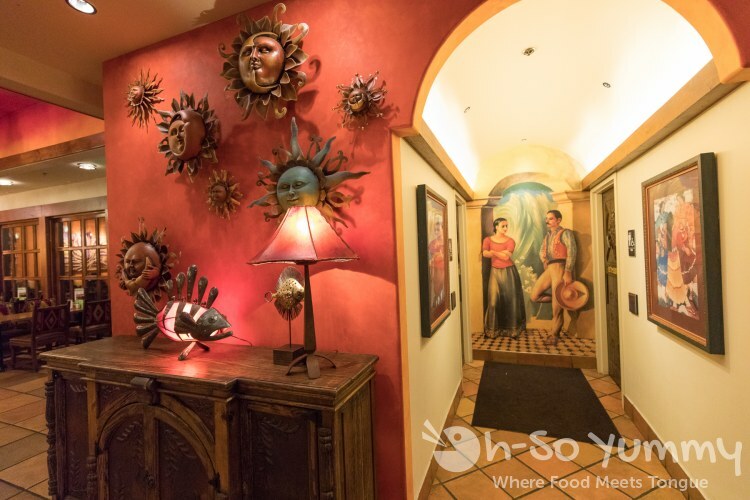 The pretty suns are perfectly suited as decor as it matches the "sol" (sun) in the name. There are traditional Mexican paintings on the walls including along this hallway to the bathrooms. I love the warm tones in the building. There's plenty of seating throughout. If it weren't for the recent rain and chilly nights, I bet the patio would be put to good use too! It's proper to start off our night with some drinks. The Skinny Margarita was simple and satisfying, just tequila with agave and fresh lime juice. It disappeared really fast with all the ice. 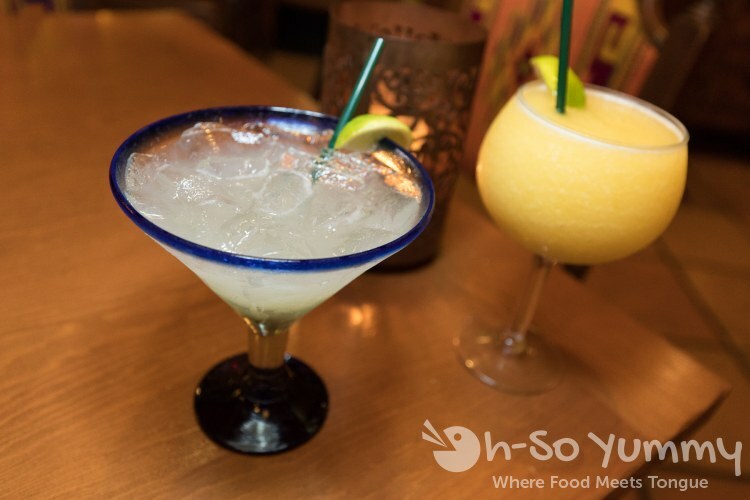 The blended Mango Margarita was sweet without being too artificial. It didn't taste like straight up mango and seemed to have a refreshing cucumber essense. 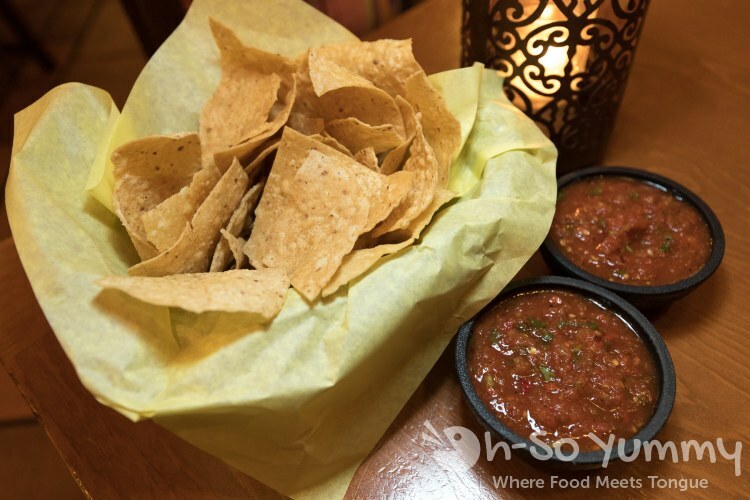 Our server brought complimentary Chips and Salsa for us to snack on while we decided what to order. 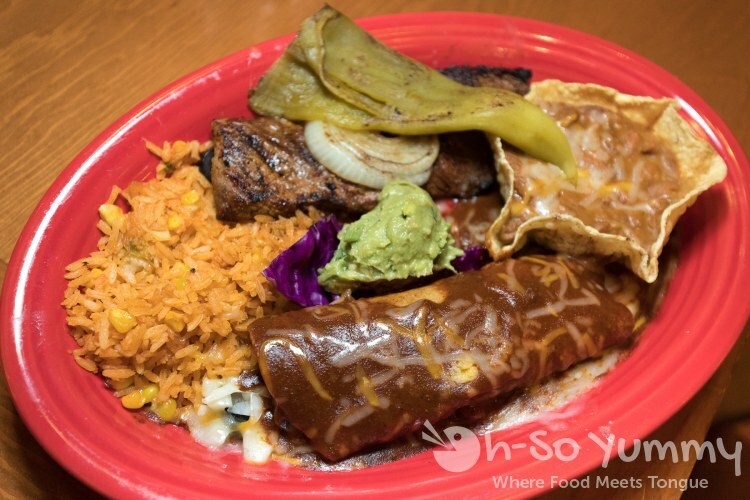 The menu is quite large with two pages of options of traditional Mexican fare. For San Diego Restaurant Week, there is a prix fixe dinner menu for either $20 or $25. The appetizers and desserts are the same while the entree options differ. All items are available as part of the regular menu too so if you enjoy something, you can always order it on the next visit! 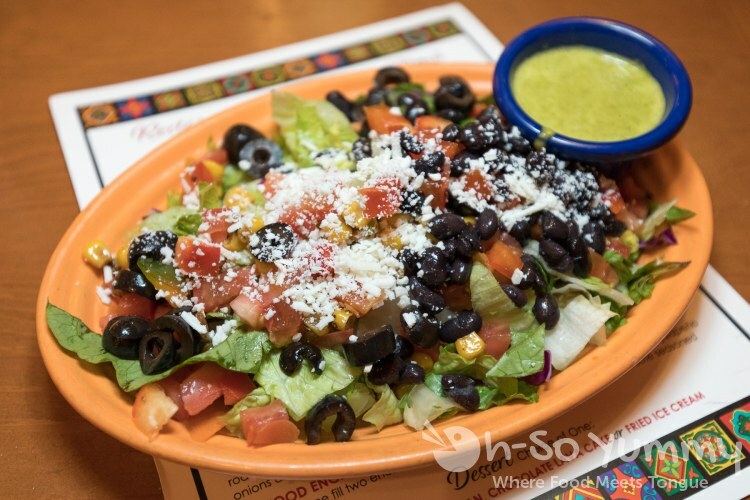 A medley of fresh ingredients greeted us in the appetizer salad. Dennis loved the slight tanginess of the Cilantro Lime dressing. 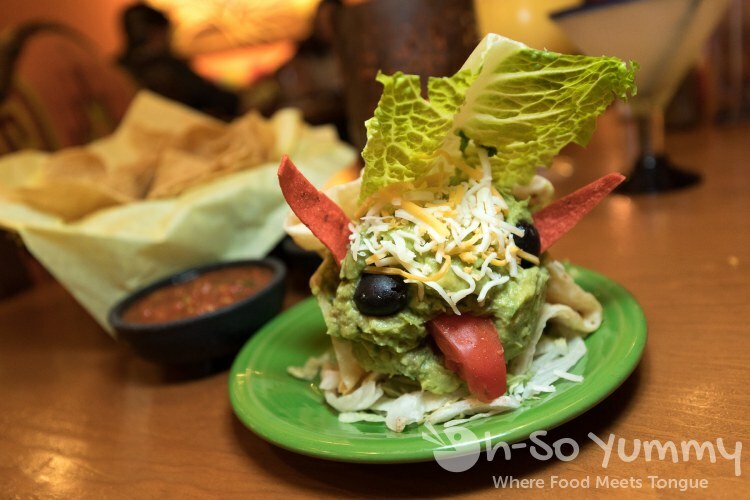 The favorite of the night... the guacamole guy with the stylish lettuce mohawk, cheesy bangs, olive black eyes, and a bell pepper tongue. We were enamoured with this sideways shell presentation and eagarly introduced him to the complimentary house chips. The guac was smooth, treading lightly on lime and salt. Barely five minutes later, our entrees arrived at the table. Dennis selected the combo meat with chicken and beef plus requested both corn and flour tortillas. 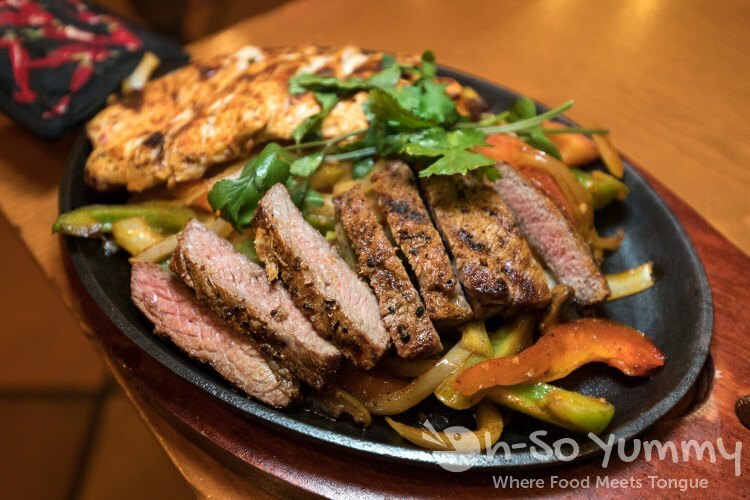 One fajita platter is easily shareable between us and here it was just ONE of our entrees this evening! The chicken was tender and still moist while the beef was cooked medium to medium rare with some sear. We happily rolled these with the sauted peppers into the handmade tortillas. Even though we are flour tortilla lovers, we actually preferred the warm corn tortillas which were soft, held together well, and were almost as large as the others. On the side were beans, rice and more guac so this was definitely filling! Our other entree used locally sourced tri-tip. They didn't ask us about doneness but it came out the ideal medium rare. The cut had the typical firmness and was well salted with a little bit of sear on the edge. We thought the mole was earthy and mellow with the cheese but hit a row of raw onions which made us aware all of a sudden! It was too distracting though, especially for me who dislikes raw onions. The huge chili tasted pickled with a hint of spice. Then a little more guac, of which you can never have enough of! 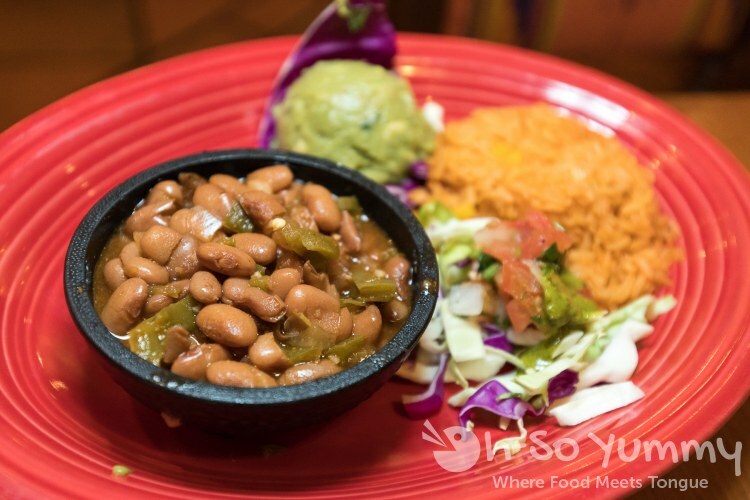 The refried beans paired well with the melted jack cheese and queso cotija in the concha shell. After a hearty meal, it was time for desserts! 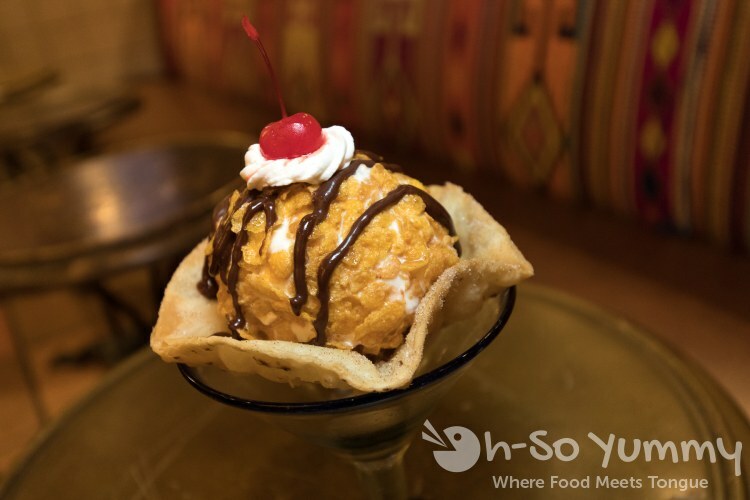 We madly dug into the fried ice cream, a huge scoop of vanilla coated with corn flakes and cinnamon sugar. The chocolate drizzle gave the right amount of accent and it was gone in a flash! 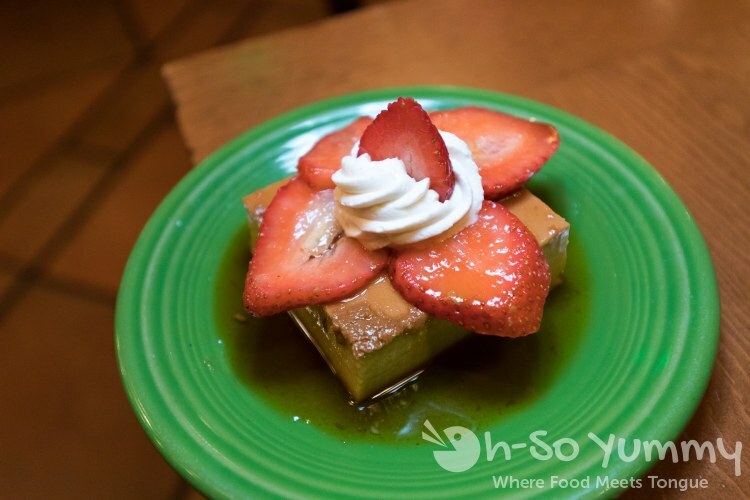 The Mexican Flan had a cheese-cake like thickness while being surrounded by a thinned out caramel, nice contrast without overpowering it. The atmosphere is casual which would be great for a night out with the family or friends. The location is convenient with a large parking lot and garage. 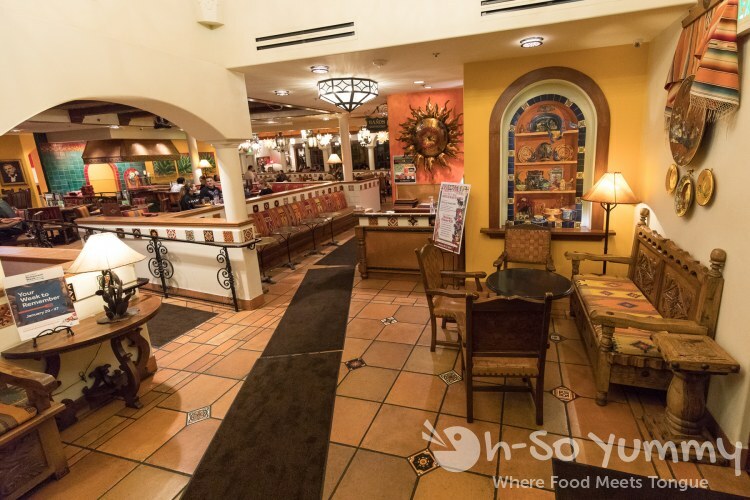 You can check out Casa Sol y Mar or other participating restaurants for San Diego Restaurant Week. For other SDRW previews, check out This Tasty Life and HungryOnes. It’s Taco Tuesday! Undecided of where to go? 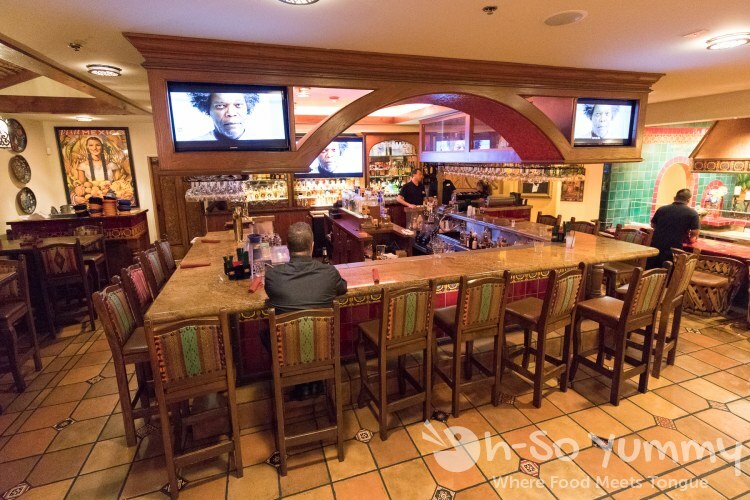 We wandered over to La Puerta in downtown San Diego to check out their Taco Tuesday specials.